Strathalbyn, built in 1938, has regional historical and architectural significance for its associations with the Nicholas family and the prominent Melbourne architect Harry Norris. 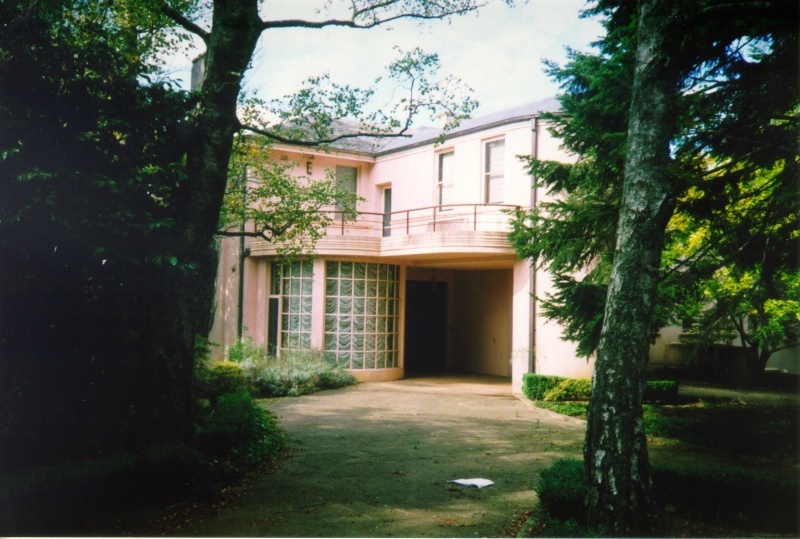 Like Burnham Beeches, it has significance as a rare example of the use of the Moderne style in domestic architecture, and despite alteration retains evidence of the key elements of this style. Its historical and geographic connection with Burnham Beeches enhances its significance. Built in 1938 Strathalbyn is situated on 24 acres, within a rolling hill landscape with a view towards the tall gums along the Sassafras Creek. The house is set back, approximately 100 metres from the road hidden by mature trees and shrubs, and the sloping landscape. 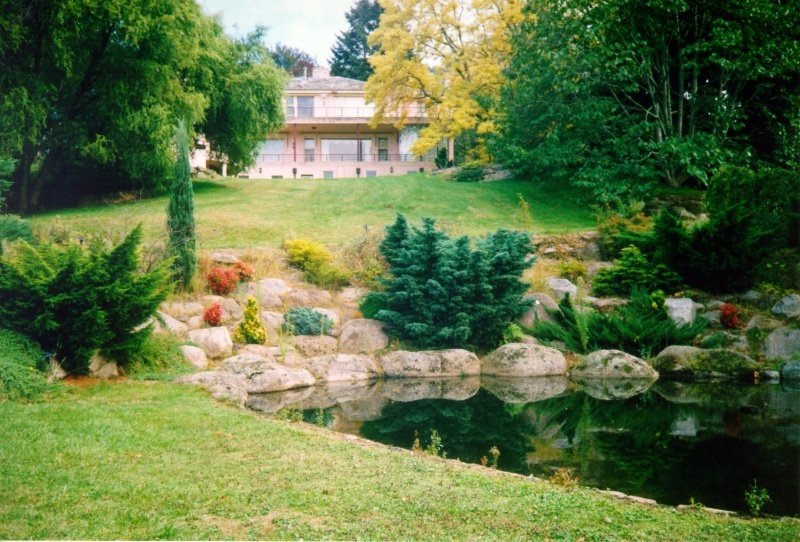 The property contains areas of both exotic forest and manicured gardens, dominated by large conifers and deciduous trees. Strathalbyn backs onto Burnham Beeches and is associated with Harry Norris, the architect, and the Nicholas family. The entrance to the estate is marked by large gates and a small brick(?) fence along one side to the properties boundary. Along the other side of the gates, the perimeter is marked by a number of small exotic trees. The long driveway leading to the house is lined with exotic hedges and small shrubs. Beyond the small hedges are larger deciduous trees. At the front of the house a tall conifer (perhaps 30m high) stands at the entrance of the mansion in the centre of the driveway circle. Strathalbyn is a three storey Moderne style dwelling, adopting the ideas of streamlining that characterise this style. Like at the adjoining Burnham Beeches across the creek, the architecture employs curving cantilevered balconies, wide spans and continuous windows (evident on the rear terrace facade). The main facade also shared these characteristics, featuring a drum-shaped entry element, with deep windows. A light-weight portico extended across the entry drive. Alterations have changed the appearance of this once elegant entry, extending the curved entry element over the driveway, and adding a single storey curved section to the facade. In 1988 a number of alterations were made to the property. These included the addition of a swimming pool and guest cottage, plus changes to the house. The indoor swimming pool is situated behind the house overlooking the ponds and manicured garden below. The garage and portico were alterations to the original house. The garage now takes up a large proportion of the ground level. It is entered from the terrace side, and occupies an area previously used a staff quarters. The changes to the entry portico are described above. The guest cottage stands only meters away from the mansion and adopts some of the stylistic characteristics of the house in its curved projecting bay, and rendered finish. To the north of the house is a tennis court with a viewing pavilion, a circular plan building with conical slate roof, similar in detail to the main house and thought to be of the same period. The tennis court, at present, is in fairly poor condition. Following the path past the tennis court and looking uphill towards the house there are well-maintained and manicured gardens and ponds. Ivy is present in areas of the garden and is already beginning to choke the trees and shrubs and may become a problem on this site and adjoining sites in the future.